Medical Spa MD Membership Launches! If you've been waiting patiently after becoming a Medical Spa MD Member, your wait is over. Welcome to Medical Spa MDs new Membership Program as one of our thousands of physician and pro members! You should be receiving your invitation and first message and free file downloads via Sendside in the next few hours. When you receive your invitation via Sendside make sure you join! It's the only way you'll recieve the information and files. 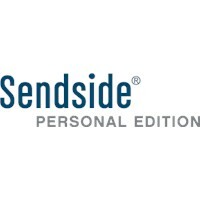 We’re using Sendside as our membership communication platform for a number of reasons. Second, It allows me to interact with you in ways not possible before. I can send legally binding contracts and see when you’ve read a message for example. Lastly, the Personal Edition account you’re in right now is free for you. Medical Spa MD is picking up the tab. You will have received a message from Sendside as well that explains more about Sendside’s awesome abilities. Suffice it to say, you’re now right on the technology edge. You’ll also notice that there are some tabs at the top of your Sendside message that have Classified Ad Listings and Sponsorship Opportunities. If you’ve got medspa items you’d like to sell go ahead and list them. It’s free, which is a fantastic price. Please give some thought as well to helping keep Medical Spa MD in business by sponsoring a link to your medspa in our Medical Spa Directory. It’s cheap and you can cancel through Paypal at any time. If you're a legitimate business you should also consider becomming a Medical Spa MD Select Partner by filling out the form or advertise or sponsor links on Medical Spa MD here. So, enjoy the files, look through the tabs, and revel in your free Sendside account. If you haven't yet joined, now's the time.